About 66 million years ago a 6-mile wide asteroid smacked into Earth, creating the Chicxulub crater in the Yucatan and sparking deadly chaos. Superhot particles rained from the air causing fires across the globe and sending temperatures higher. Then it got worse. Clouds of particles reflected the sun's energy away, darkening the skies and cooling Earth at least 45 degrees (25 degrees Celsius) for several years, scientists said. And that big hit set off earthquakes close to 100 times stronger than the biggest we've seen in modern times. New evidence suggests all that shaking triggered massive volcanic eruptions that spewed gases and particles into the air and water too. A study in Wednesday's journal Science Advances figures sometime after the asteroid crash, unusual and extra strong eruptions happened on the floor of the oceans, probably in what are now the Pacific and Indian oceans. 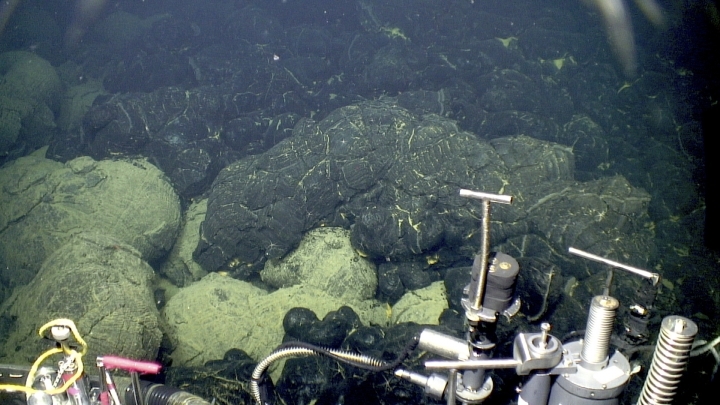 The study authors calculate that those ejected a tremendous amount of molten rock underwater — so much that on land it would cover the entire continental United States a couple hundred feet deep or so. "We're showing there was a lot more going on than we thought," said University of Minnesota geophysicist Joseph Byrnes, the study's lead author. "We're painting a new sequence of events." 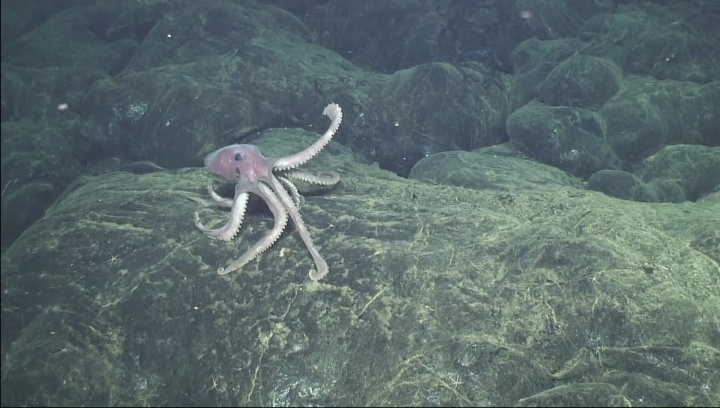 What happened inside the underwater volcanoes is "totally analogous to a can of Coke that gets shaken. The whole thing turns into a frothy mess," said University of California, Berkeley geologist Paul Renne, who wasn't part of the study but said it "illustrates how intertwined everything else is." The study's authors say their work hints that the underwater eruptions helped turn the oceans more acidic and added to extinction carnage, but they said they need more research to go that extra step. Scientists are split, sometimes heatedly, over what really triggered the worst of the extinction, the impact of the crater and its plumes of debris or other upheaval of the Earth's crust in the wake of the collision. A study in 2015 suggested that the collision made volcanic eruptions in India that scientists have long known about, called the Deccan traps, far more intense and deadly. Scientists who downplay volcanic effects said the new study doesn't prove its case. "The signal that they see is really kind of feeble," said Jay Melosh of Purdue University. "There's something there, maybe. Whether it has to do with the impact is more questionable." Both Melosh and Sean Gulick of the University of Texas, who dug deep into the crater core recently, said the study is based on coincidental timing and doesn't show a precise physical way the impact could have caused eruptions. It doesn't help that because the ocean floor is so poorly explored, Byrnes and Karlstrom can only pin the date of the eruptions to a wide time band, one million years long. That doesn't bother Renne. He said the asteroid collision is an event that only happens once every 100 million years, and the Indian volcanic eruption is the type that happens once every 30 million years, so for the two to happen at the same time and not be related "is really pushing it."